The book begins with the basic elements and works its way back to advanced techniques. It concludes with information on makeup, nails, and accessories to finish the look. 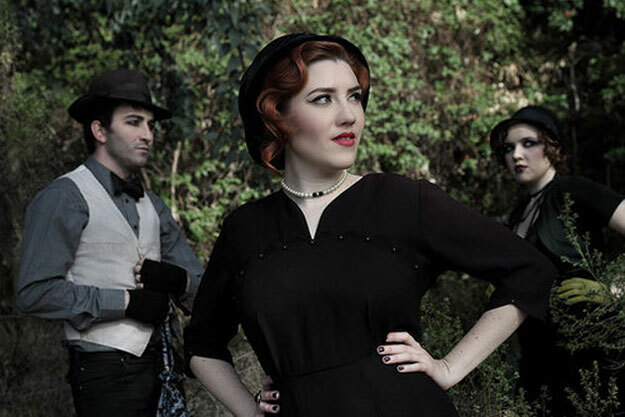 No matter your skill level or hair type, Vintage Hairstyling has something for everyone. Not only a manual, it is also fun to read. The Finished Styles chapter of the book contains coffee table book quality images of models with their finished hairstyles. 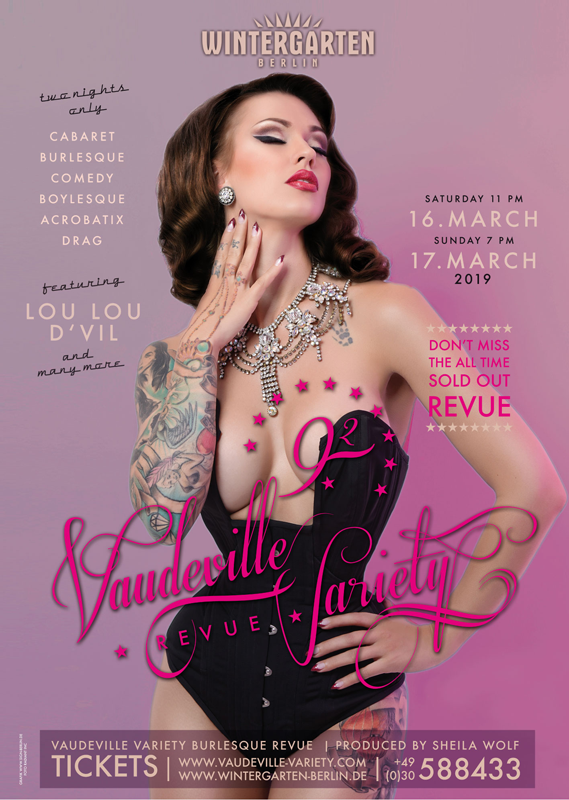 Sprinkled in introductions and throughout the book are interesting facts about the history of hairstyling, origins of styles, and information about the starlets and performers from the golden age of Hollywood who made the hairstyles popular. Classic Hollywood stars like Jean Harlow, Rita Hayworth, Veronica Lake, Marilyn Monroe, and Elizabeth Taylor all sparked very powerful hairstyle trends. 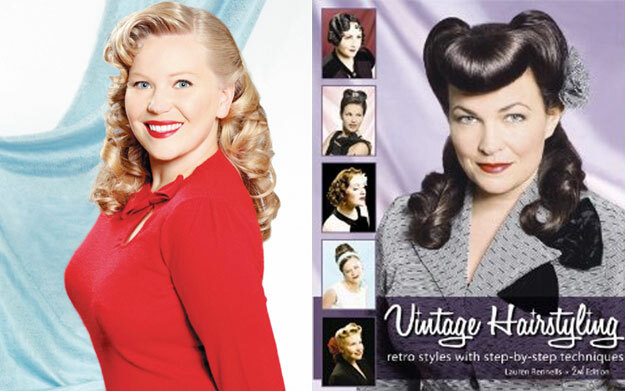 Vintage Hairstyling: Retro Styles with Step by Step Techniques is a guide showing how to create hairstyles from the 1930s, 1940s, 1950s, and 1960s using simple, easy-to-follow instructions. I have revised and revamped the book of worldwide popularity to be even more informative and fun. 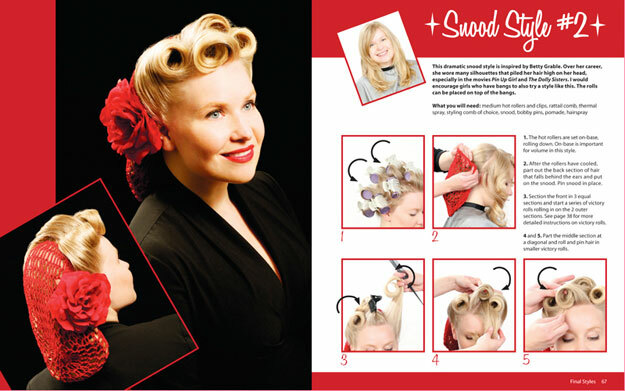 This 2nd Edition takes hairstyles and breaks them down so that the directions are clear. It uses over 750 brand new photographs and illustrations and detailed directions in a 200-page full-color book. No matter your skill level or hair type, Vintage Hairstyling: Retro Styles with Step by Step Techniques has something for everyone. 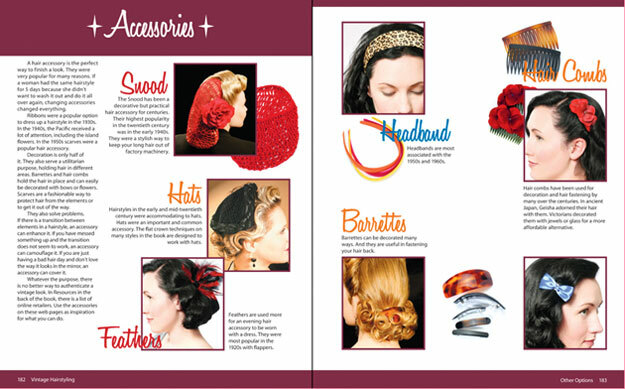 If you are just looking for a hairstyle for a special occasion like a period wedding or a style to go with a vintage prom dress, Vintage Hairstyling has both up-do options and options for a longer hair look. And swing dancers looking for a style for dancing will find many options with staying power.